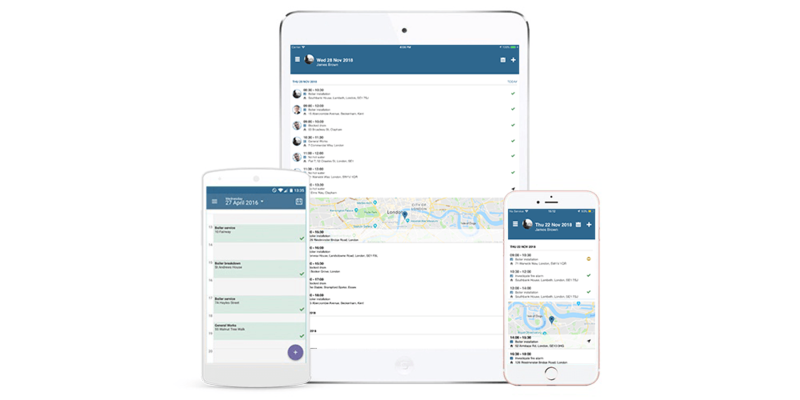 Commusoft is a cloud-based all-in-one software that allows small-to-medium field service businesses (FSM) to manage their operations from any location. It’s designed to improve business efficiency and customer experience, as well help any SMB in the field service industry scale their operations and grow in a sustainable manner. 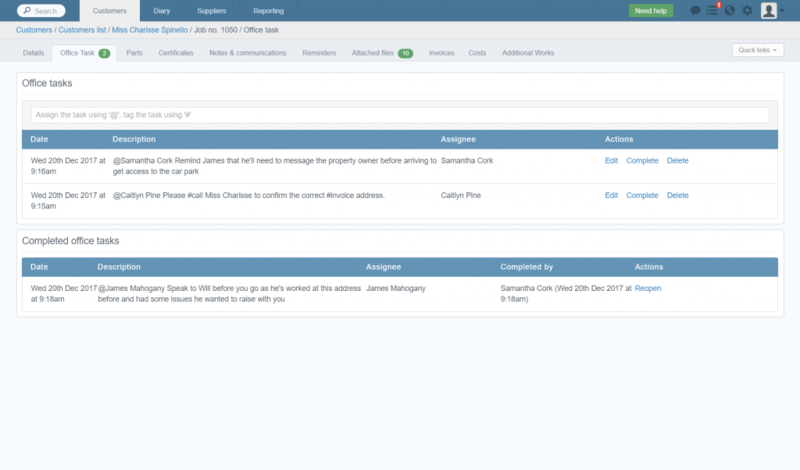 Commusoft’s core feature is the calendar where any admin can book in, edit, and close jobs as well as get an overview of the company’s technicians and their individual schedule. You can select between daily, weekly, monthly, and map calendar view. This schedule management software allows users to create new events, see job details, and move events with effortless drag-and-drop gestures. The calendar view has also been recently updated to allow displaying an unlimited number of technicians which will come in handy for larger companies. This feature impresses through its user-friendliness and ability to display a large amount of information within its allotted space. With traditional calendar management software, the only way a customer could schedule a job was to call. Intelligent booking removes this friction point from a company’s buyer journey. This in turn helps streamline an operation, reducing the number of errors that can appear when using a paper-based system. 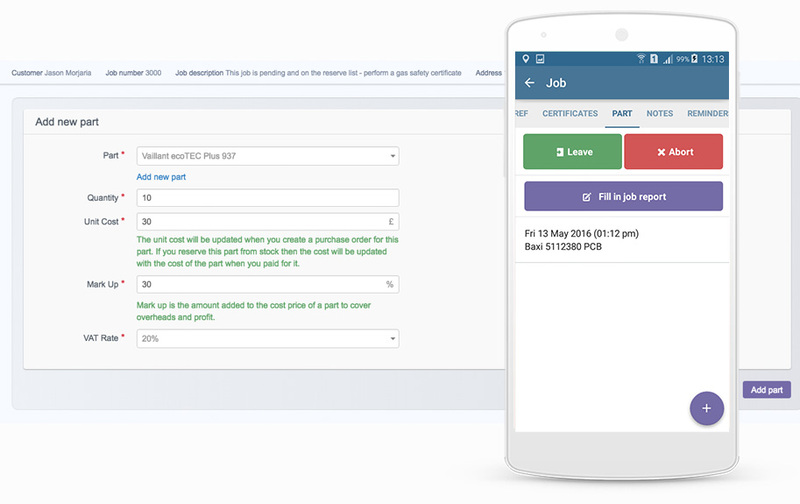 Commusoft offers this option and allows users to automate scheduling and optimise workforce on the field, as well as improve their customer relationship by appearing professional and up-to-date. 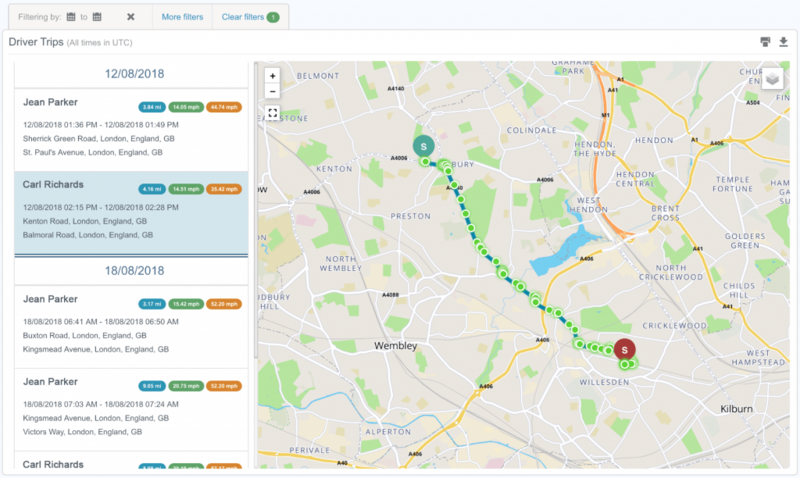 Modern field service businesses should track their vehicles in real-time from within their job management software if they want to ensure that they have an efficient logistical process. Most use a simple GPS system which comes with a tracker and a mobile/desktop app. 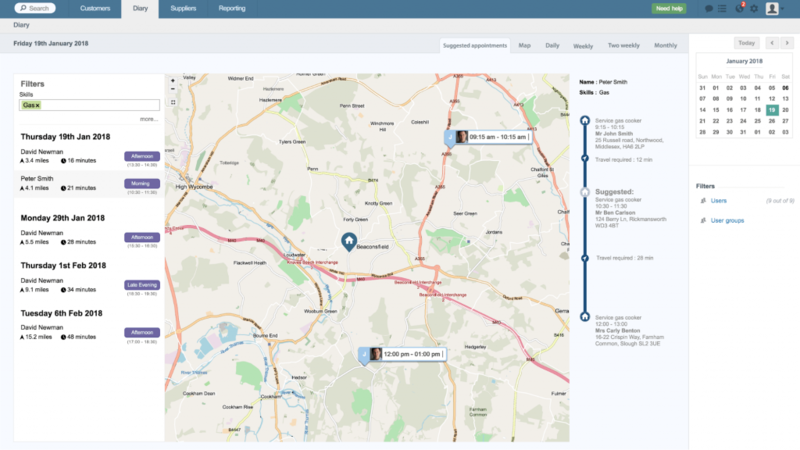 Commusoft, however, has circumvented this method in order to deliver an integrated tracking system that works with the overall scheduling tool. This helps users understand what the the optimal route is and which technician has the skills AND the tools (this is only available if you’re using the inventory management feature but more on that one later) to finish a job on the spot. One of the reasons why field service management need dedicated software is because unless you are familiar with the industry, you can miss out on day-to-day requirements such as quotes. An FSM business will almost always be asked by customers to send an estimate before commiting to a job therefore having professional looking emails with this information attached will go a long way in improving customer relationships. Commusoft allows users to create clear, detailed quotes and to centralize, speed up, and streamline the entire process, right from the initial meeting through to accepting the quote. Keeping parts organized allows field service companies to work at maximum efficiency and project a professional image to customers. Commusoft offers users the possibility of seeing at a glance where all their parts are and know exactly when is the right time to order more. The system is easy to understand and has a multitude of options that will cover the plumbing, HVAC, electrical, gas, mechanical engineering, fire & security, and property maintenance fields. A good job management software needs to understand that there will be employees both on and off the field therefore it has blend the two points of view seamlessly. 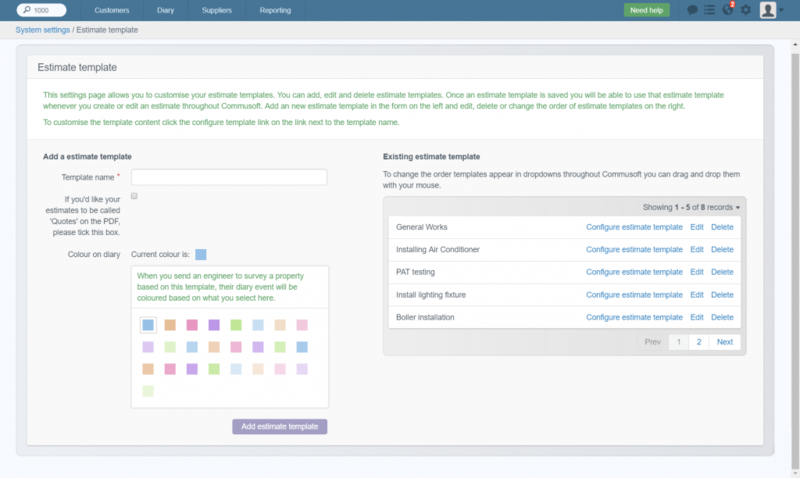 Commusoft manages this effectively by assigning roles to every user and ensuring that privacy is upheld by controlling the information accessible to each role. This helps businesses forget about hours of paper-based admin and start focusing on the things that matter most when it comes to sustainable growth. Technicians already use their mobile phones in every facet of their lives. It’s the natural step forward to have them using mobile to manage their work as well. Mobile workforce management is increasingly important for creating an efficient and profitable field service company and in order to have all the other features mentioned above running smoothly, on-field employees have to be connected at all times with those managing the office tasks. The app is well designed and integrates seamlessly with the desktop experience. It works both on iOS and Android, and it comes with a few nice technical touches like voice control and real-time updates. All in all, Commusoft is a powerful yet flexible field service management software that will work towards the sustainable growth of small and medium companies in the industry. An interesting fact is that they release updates almost every week which they proceed to record on a separate Product Blog therefore users know that the team is always at work, trying to improve the product and offer a superior experience.